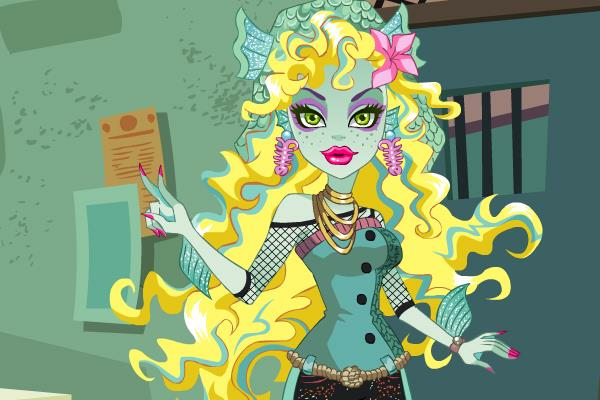 Dress Up Lagoona Blue from Monster High in a stylish way. Did you know that Lagoona mostly hangs out with Cleo, Ghoulia, Frankie, Clawdeen, Abbey and Draculaura. Lagoona is dating Gil, they met in "Blue Lagoona" and "Hatch Me If You Can". You can play this fun Lagoona Blue Hairstyle Dress Up Game after you have played this game.